As you probably already know, we try to find and feature the best Bitcoin mining software for all operating systems, and Linux mining software is no exception. 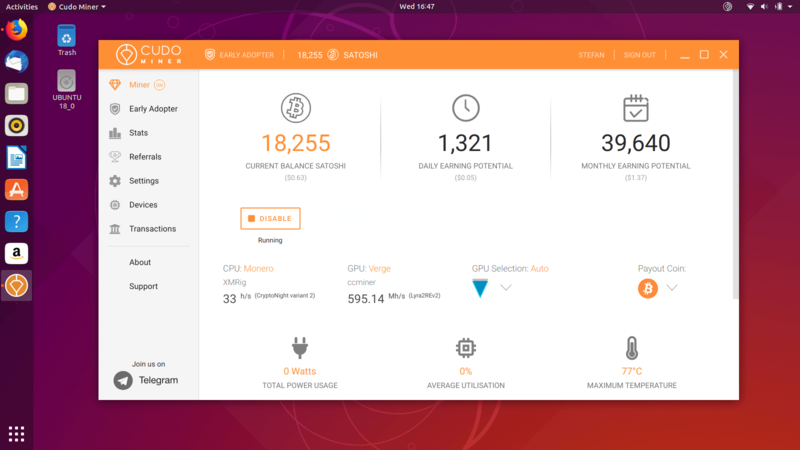 In this article, I’ll show you how to setup the Bitcoin mining software for Ubuntu. 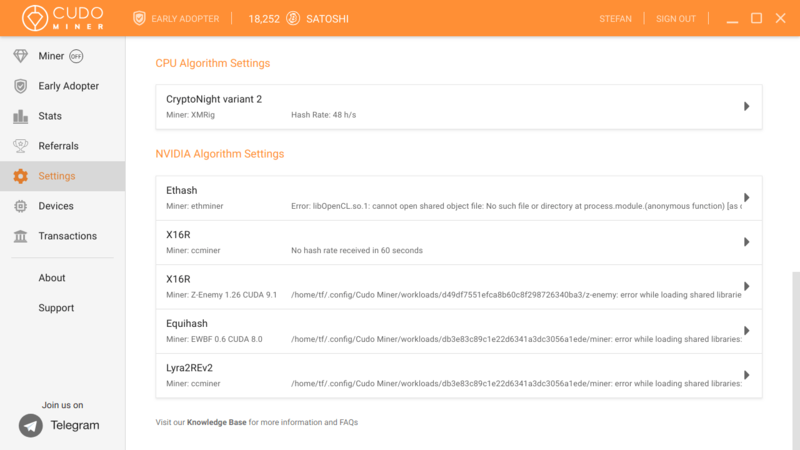 Right now, we have 2 Linux mining apps featured on our website- Cudo Miner and MinerGate. I personally tested both of them on Windows, but never on Linux- until now. For this test I am going to use my laptop, as well the latest version of Ubuntu installed with Wubi. 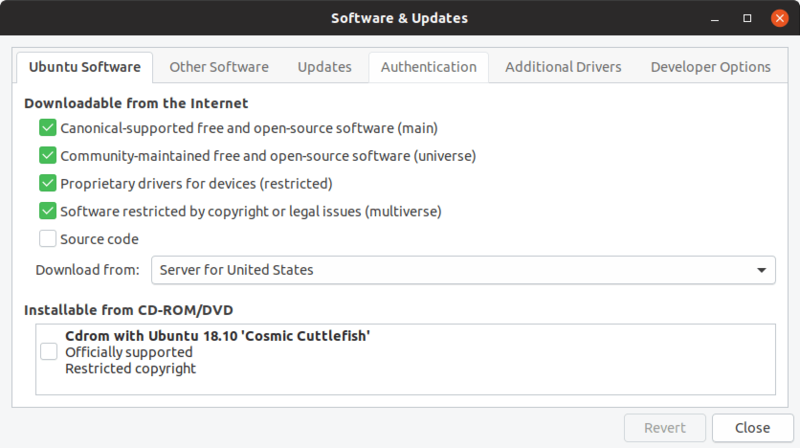 and the Ubuntu version is 18.10. Now, if you know a bit about mining hardware, you know that this is not a suitable machine for Bitcoin mining- it has an old mobile processor with an old mobile graphic card. Still, it can run most operating systems out there, and it is more than good for everyday use, so it will suffice for our purpose- to try and install the Bitcoin mining software for the Linux/Debian operating systems. So the first thing to do is to go to our Cudo Miner page, click the big blue button and download the Cudo Miner for Ubuntu. Be sure to have them the same as on the screenshot above. We didn’t do it at first, and we couldn’t install neither Cudo Miner nor MinerGate on Ubuntu 18.10. Tweak the settings according to your preference and hit “Save”. But it worked for the CPU only, which started working immediately, while GPU mining was showing an empty box. 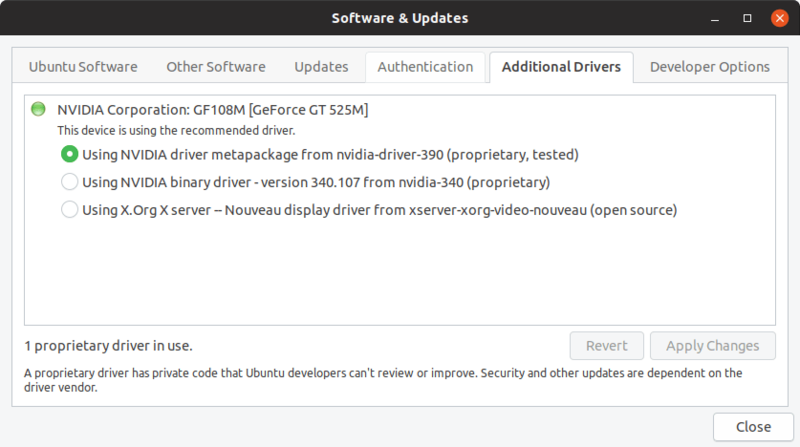 then went back to Apps -> Software & Updates and clicked on the Additional Drivers tab. This didn’t help either. So I did a bit more research and somehow realized that I probably need to have the Cuda drivers installed, as they are pretty much essential for Bitcoin mining with nVidia GPUs. but it finally worked! The Cuda drivers made all the difference and I was able to start mining with my GPU as well. I’m a below average user of Ubuntu who used it once per year on average for the last 15 years. Yet, I’ve pulled this pretty easily since this is really basic stuff for Ubuntu users. All in all, I can just say- a GUI Bitcoin miner for Linux definitely exists, it’s really easy to setup and most importantly- works. 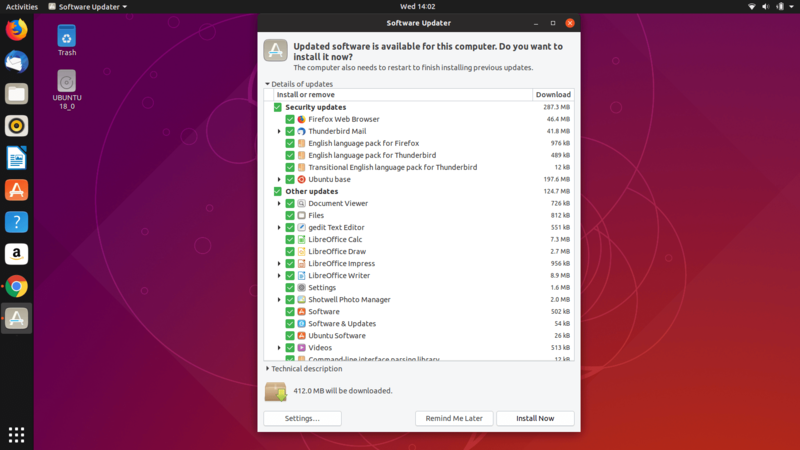 And even if you never used Ubuntu- you should definitely try it. As mentioned before, this laptop is really old when it comes to Bitcoin mining, and if you have a more recent hardware or an AMD GPU this should work much easier for you. First things first, get the installation files by clicking the big blue button on this page, and then install the .deb package as you would install the Cudo Miner or any other app. And while it started mining with CPU almost instantly, the GPU mining complained about low memory and wouldn’t start for any of the coins listed. 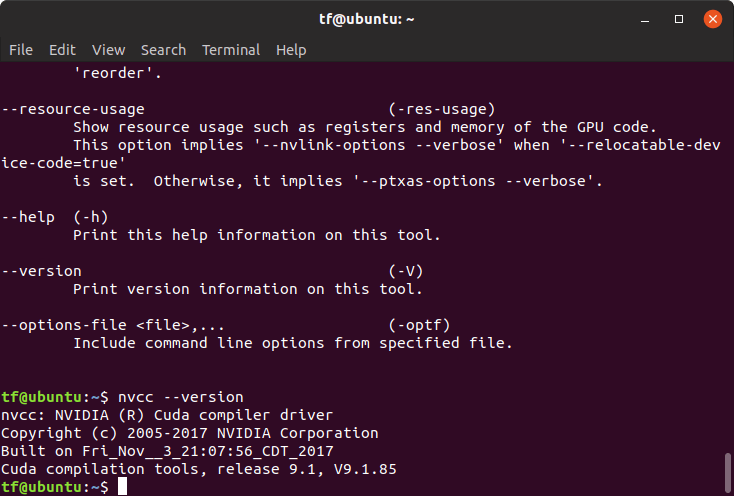 Since my Ubuntu 18.10 is up to date with all requirements, including the latest Cuda drivers- I didn’t go further. Still, the installation and mining with CPU was really effortless, so I believe that those with newer graphic cards won’t have any issues with GPU mining and MinerGate on Ubuntu.